The FaZe star earned more than $40,000..
One of the most popular Fortnite players in the world earned nearly $40,000 in today’s Fall Skirmish tournament. Turner “Tfue” Tenney of FaZe Clan secured first place in the North American portion of today’s Fall Skirmish tournament, capturing the $37,500 grand prize in the process. His 13 points through six games were just enough to edge out Ghost Gaming’s thwifo, who finished in second place with 12 points. 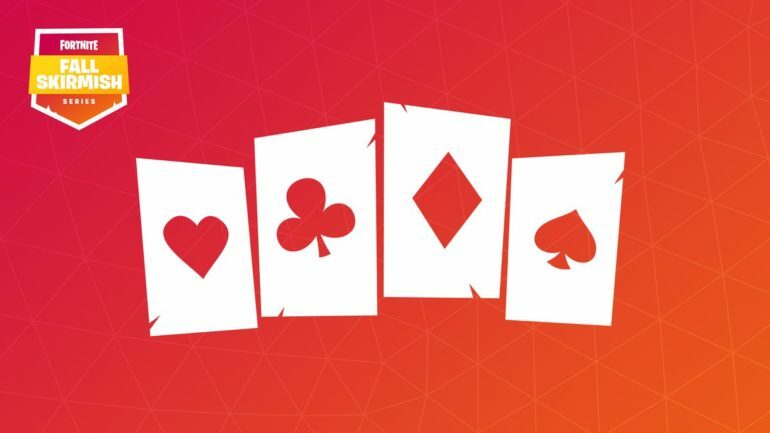 Similar to past weeks, points in today’s format, “Royale Flush,” could be earned through high placings or a specific amount of eliminations. Players earned three points for Victory Royales or seven-kill games, while they could also accrue points for top-five finishes and at least three eliminations in a single game. An additional point and $10,000 were up for grabs if a player could achieve a Victory Royale and seven eliminations in the same game. And per usual, a bonus of $10,000 would be awarded to whoever earned the most eliminations. In the European event, Dmitri “Mitr0” Van de Vrie came out on top, defeating players like Dominik “RazZzero0o” Beckmann and Artur “7ssk7” Kyourshin, who finished second and sixth, respectively. The five clubs that were introduced as a part of the Fall Skirmish were also affected by today’s placings. Both Tfue and Mitr0 are representatives of the Rift Raiders, which sat in fourth place heading into the week. Unfortunately, the Raiders were unable to move anywhere, but they are just 60 points away from jumping over the Fort Knights and Dusty Dogs into second. Tfue and Mitr0 will look to help the Raiders ascend in the standings with this week’s trial event, which will feature a spinner wheel that will randomly choose the challenges the clubs will need to complete in order to earn prizes and points.